Halco Lighting ProLume® High-lumen compact fluorescent lamp features 4-pin/plug-in 2G11 medium bulb base. This 40-Watt, T5 PLL bulb outputs a bright and crisp light of 3150-Lumens (initial) and 2835-Lumens (mean). It features an average life of 20000 Hours. This lamp has a voltage rating of 120-Volts AC. The long tubular, universal lamp produces warm white colored light with 3500K color temperature and 82 CRI. It is compatible with electronic ballast. It is suitable for wall sconces, down lighting, task lighting, security, residential and commercial applications. 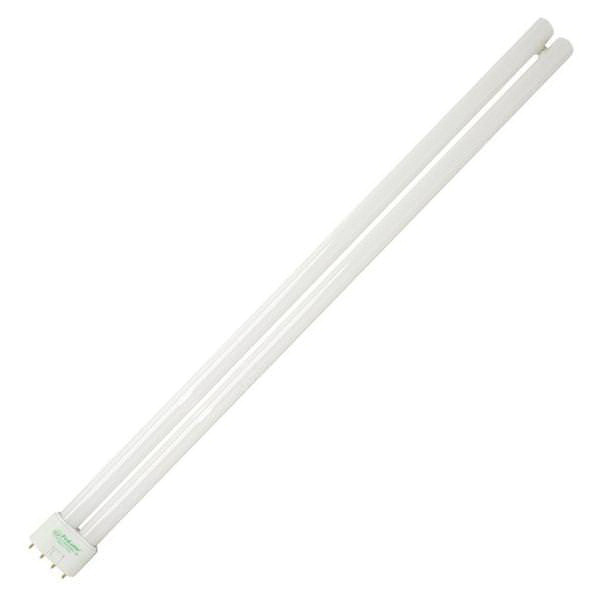 The fluorescent lamp is TCLP and RoHS compliant.